That’s right, my final topic of discussion for Ramadan is a look at my own kind, volunteers. These are the people who appear to run the place. They have the keys, the access, and the authority. They even know where the toilet paper is kept for the bathrooms. They are the ominous vault of masjid tools, secrets, and knowledge, and generate a buzz wherever they go in the masjid. This could be because they usually smell like pakoras and sweat and people who sit downwind tend to pass out from the fumes. Next to aunties, volunteers are probably my favorite group of masjid people, especially the Ramadan type. I always find it funny how year round, masjids search high and low to find any type of help in the form of manual labor. This last summer, we had a serious shortage of teachers for the brothers’ side, so the sisters’ side ended up teaching the 7-8 year old boys in addition to the 5-6 year old group we already had. The second Ramadan comes around the corner, the amount of people tripping and yelling to volunteer is endless. I wonder what our turnout would be if we told people they could get food in exchange for their time volunteered. Maybe give them an edible certificate of appreciation? 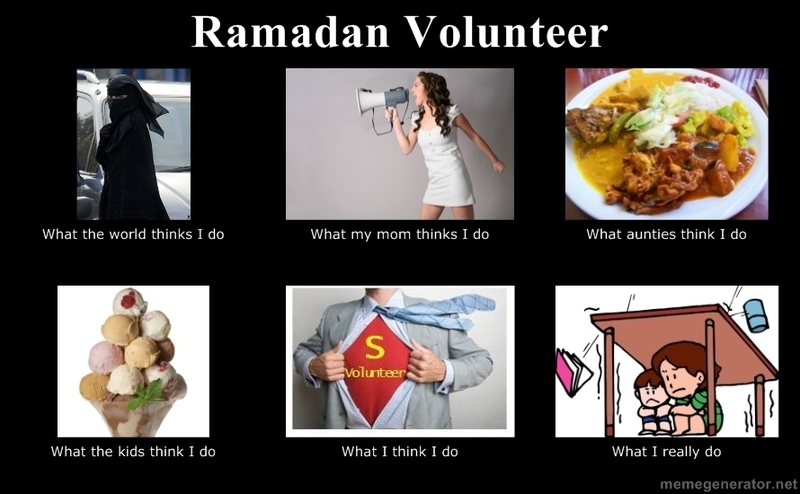 While the world of masjid volunteers is diverse, Ramadan volunteers have some of the most entertaining types. Here are a few of my favorites. Do you remember that person in high school that would be in EVERY single extracurricular club? 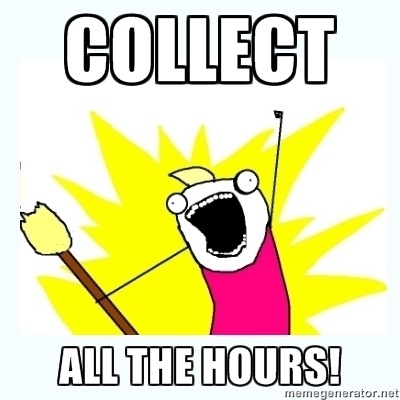 And they would somehow manage to turn every single thing into a service activity. You often wonder how this person manages to do all of their activities and still manage a 7.0 GPA. 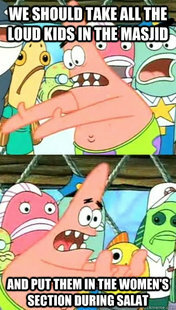 I figured it out. They literally don’t eat or sleep. Think about it. If you’re fasting year round, you save not only eating time, but also bathroom time. Plus you end up losing weight and becoming this pale shade of pale. What desi mother wouldn’t love to have a daughter-in-law that fits that description? Now if only we could turn having a wedding into a community service activity. This type of volunteer is great. They sign up and commit to be there on time, they agree to do all the work at the first meeting, and they even lure you into a false sense of hope that maybe, just maybe, you won’t have to do as much work. 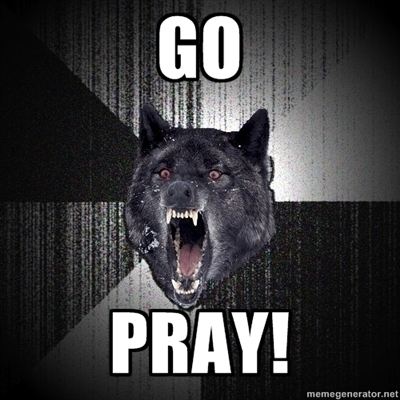 You might even be able to go upstairs to pray early. Hey, you might even be able to do your sunnah AND nafl prayers. In fact, I can even bring my Qur’an to read because I’ll have all this free time. You get all excited on the first day looking forward to all the extra ibadah you’re going to be able to do, and then you look at the time. This person ends up coming ten minutes before iftar, ends up spilling food, not cleaning it up properly, and leaving early because they have some urgent thing to take care of. And then they wonder why they only got ten hours of community service. I feel like all people think volunteers do is eat. Now, I’ve been on both sides of the food table, so I know that there are some volunteers that abuse their authority and geographic location to the food. But for the most part, at least at our masjid, we have a strict volunteers go hungry until everybody else gets food first policy. Yet, somehow, every year, there’s that one volunteer that you know just volunteers to eat. Literally. They will manage to get every single type of food that comes through the door. They position themselves at the most opportune places in order to get the most food crossed traffic. They manage the art of fitting a dinner into a tiny iftar plate. They not only manage to get dinner for themselves at that moment, but manage to pack away enough food for a week’s worth of suhoor and have some leftover to feed a family of six, AND manage to take this same amount home every single night. The most admirable quality of this person? Throughout all of it, they will somehow manage to convince you that they eat oh so very little, and of course, heartfelt you insists that they take home not only your dinner, but your mother’s dinner as well. 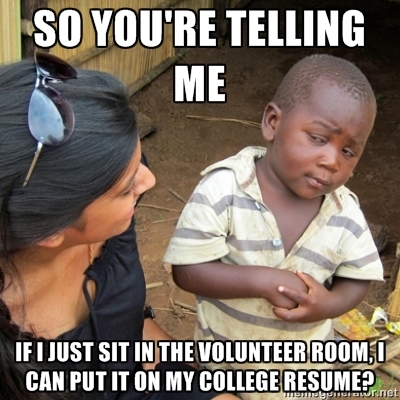 Every year, there’s that one person that just hates volunteering. They don’t like people, they don’t like children, they don’t like noise, they don’t like the food, they don’t like the chai. What they do like is barking orders, feeling the adrenaline rush of giving commands, getting the last word on everything, and wearing a badge that says volunteer. Granted. that person is never in charge, and is given as little responsibility as possible, because we know that this person will never actually do anything themselves. So we just go over their heads and tell the person who’s going to do it anyways to do the job. 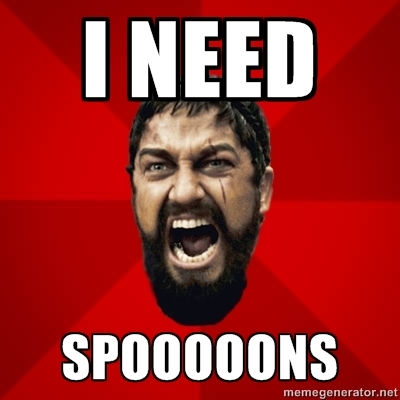 We usually just give this person spoon duty or, if they’re lucky, naan duty. And man, they do that job with such authority, it’s commendable. Finally, my type. Now, some may call me the paranoid type, but I prefer prepared. I realize that many times I exaggerate and possibly hyperbolize a few scenarios here and there, but trust me when I say that running out of supplies, not the best thing in the world. True, I’ve never actually been physically attacked when the tea/sweets/naan/spoons/other Ramadan necessity runs out, but it could very possibly happen. I wouldn’t necessarily say that I freak out at any indication of something going wrong, I merely just imagine the worst case possibility in a zombie apocalypse and take the necessary steps to prevent it. Do I look like a crazy person in black abaiya and hijab, blue apron, duct tape bracelet on one wrist, masking tape bracelet on the other, and scissors in hand? Perhaps, but better to be prepared and scare the children than to comfortably walk around, I always say. Alhamdulillah, another Ramadan has passed and inshAllah another will come. While I joke about my experiences over the past month, I pray that we all have been able to use this blessed time to accomplish one thing or another. Although I lost my temper here and there, I am proud to say that I shouted less than other years and I only made two children cry. (It was for their own good. They were going around hitting other children, so I gave them a time out.) The most important lesson from this month is to be able to apply all that we have learned to the rest of the year when shaitan is whispering in our ears. As I wrap this article up, I realize it’s almost a week after Eid and I also realize that my Eid greeting is just a tad bit late. I hope everyone had a fun, family, friend, and food filled Eid. Now that Ramadan is over, I wonder what I’ll write about next? Before I go, just one more meme. As I’ve mentioned before, thanks to my time at the masjid, I’ve come across a wide spectrum of people. 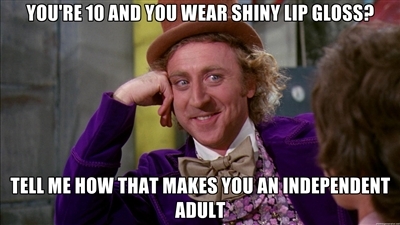 This includes not only aunties, but the younger generation as well: teens, tweens, lip gloss wearing 7-year-olds who think they’re teens. Here are just a few of my favorites. Really, I have absolutely no idea what it feels like to grow up in a house in the suburbs, go to middle school and high school, do homework, and be expected to fast and pray all at once. How do you manage to survive? I can only admire and respect your sheer ability to get out of bed in the morning. I know I would never have been able to have handled all of that. I wonder how I ever managed to do anything when I was ten. I didn’t have a cell phone, an iPod, an iPad, a laptop, and the ability to bring all of these things with me to the masjid. I really would just freak out whenever I covered the solar panel of my calculator, and the numbers disappeared. Oh, and the first time I learned to write the word hello upside down in numbers, I thought I was king. I also had this thing, it was like a whole bunch of pieces of papers bound in one place, and the papers had words on them. The really cool thing about the words? Sometimes, if you read them in order, they would tell you things, kind of like a a real live app for story telling. I think it was something called a b-, a bo-, a book? 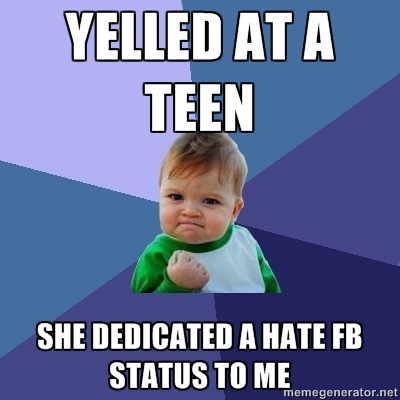 I believe my favorite group is the passive aggressive angry teens. I thrive on their ability to tweet about their unadulterated hatred for me. I live to see my name in one of their angry Facebook status updates. The more likes, the better. I mean, you could just come up to me and tell me in person as to why you don’t like me and why I’m making your life miserable, but that’s just weird. I’d much rather be the trending topic for the week. 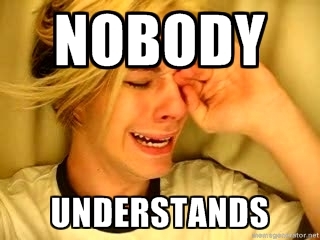 Teens, I get it, I understand. I mean, sure, my life probably wasn’t anywhere near a normal teenage life. I was the social loner: friendly with everyone, close with very few. I wasn’t the typical girl doing the whole boys, shopping, and makeup thing. I didn’t have to think about staying above the influence and all of that. But I did have worries and traumas and life or death battles, so I can somewhat relate. Life is hard, unfair, and slaps you when you least expect it. That’s why we’re so blessed to have this amazing month of fasting. 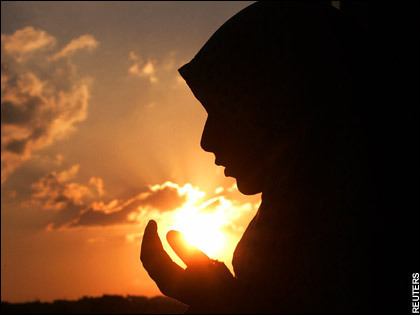 Ramadan is the month where you have a closer connection with Allah (swt) than any other time of the year. Turn to him with your worries and woes, and He’ll be there for you. Earlier this year, I was on the train on my way to my university. I had stayed up the night before writing a paper and was dozing in and out with the rocking rhythm of the train. I yawned and experienced a hijabi’s worst nightmare: my hijab pin popped open. Thankfully, there weren’t people around on my side of the cart and resourceful me had another hijab pin in my bag. While I was fixing myself back up, my eyes happened to wander to a nearby sign advertising quick and easy Spanish classes. What caught my eye was a handwritten note on the bottom which said, “Or everybody could just learn English, or leave our country alone.” Two things popped into my head after reading that. The first was that this expert in English needed to take some English grammar classes themselves. The second thought was just how easy it would be for someone to pull off my hijab at that very moment. The part that made me deeply sad was the realization as to how big a possibility there was of that happening in today’s climate. I first started covering my hair in 2001. August 2001 to be exact. That’s right, a month before the day that changed the world for most Muslims and other minorities in general. I was in the eighth grade and my friends were still trying to get used to not seeing my hair. A lot of them said they kind of figured it would happen eventually, and the others kept asking the usual questions. Does this mean you’re getting married? Does this mean you don’t have anymore hair? Does this mean I can never see your hair ever again, ever? I laughed, joked, and explained. I had no idea that in a matter of weeks, I would be designated the role for explanations for the rest of the year, and in fact, the rest of my life. I can honestly say that aside from a few misguided curses, slurs, and hijab pulls here and there, I didn’t have it as bad as a lot of other Muslims out there in the aftermath of 9/11. For the most part, I used it as a teaching tool for my classmates. My teachers couldn’t be happier to have a practicing Muslim in the classroom, and for about a week after, my Georgia history class turned into “Let’s Explore Islam” period. Like I said, aftermath, not so bad. Alhamdulillah. It’s been in recent days where the sociopolitical climate has become so polarized, that I actually have to think about my safety in certain situations. It doesn’t help when the media just feeds the public, who in turn feed the media. It’s a vicious cycle and it’s leaving me to ask the question, what’s happened to our humanity? While this post is partially inspired by the recent attacks on the Sikh temple, I’m asking a much broader question. A few weeks ago, I was reading about a shooting at a Batman movie showing. A few weeks before that, Burma. A few weeks before that, another attack. A few weeks before that, another shooting. There has been no rhyme or rhythm to any of this, other than something is terribly wrong. Even the reaction to the attacks have taken a harsh tone, where we argue and criticize about the title a person is given and whether he is a terrorist, a psychopath, or just plain disturbed. I’m not going to lie, I was one of those people who had mixed feelings when I heard that Osama bin Laden had been killed. I in no way was sad that he was gone, but I was taken aback when people started celebrating his death. I’ve always thought that a life lost is a life lost, plain and simple. Death is a part of life, something that’s inevitable and part of His plan. So when I saw people celebrating death, the forceful taking of a life, I had to question again, what’s happened to our humanity? Today’s climate is such that any comment made will be interpreted to all extremes. You can’t even post a statement on Facebook without a debate sparking and virtual chaos ensuing. The middle path seems to have all but disappeared. The saddest part about all of this is the politicians who partake in this are doing it mainly for votes and funding. The media that’s fueling it all is doing it for, again, funding. The general public that feed into it? It’s a free space with no filter and probably the only place these people get a chance to put any input into anything at all. And hey, if we can get famous quick for our controversial comments, then why not? So basically, the reason we have such extreme thoughts and vibes out there, waiting to filter into impressionable minds is because of strips of paper that have been deemed valuable. What has happened to us as a society that we’ve become desensitized to the violence, the torment, and the tragedies of others. This isn’t a religion issue, a race issue, or a culture issue. This is a human issue. Last night at our masjid in between isha and tarawih, a brother came on to inform us of local community issues. He told us about Muslim refugees from war-torn countries living only 30 minutes away from us. He told us that the conditions that they’re living in resemble conditions that you’re used to “back home,” back where our families originally came from. While I listened to him describe these conditions, I started getting emotional and felt tears start to form. The person next to me was on her cell phone checking her text messages. 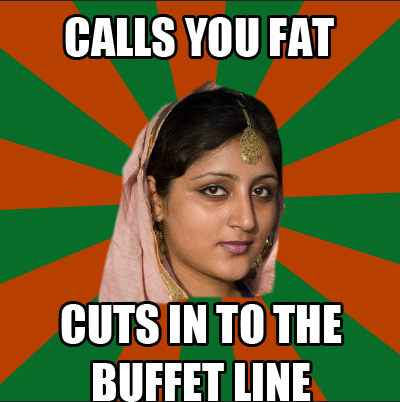 The aunties in front of me were talking about their Eid plans. So the question came to my mind again, what’s happening to our humanity? It’s Monday afternoon as I sit here writing this now, and I’ve just read news about a masjid that was destroyed due to a fire. Not only is this literally a day after the attack on the Sikh temple, this is the second fire this masjid had to deal with in five weeks. Death happens. Death always happens and death will continue to happen. I’ve accepted that. What I can’t accept is the physical and verbal violence this society has turned to in every corner of the world. Whether it’s the blatant violation of human rights in the Middle East, internal political turmoil in South Asia, acts of aggression here in the US, or attacks online via routes of social media, it all makes me sick. I realize as I sit here, my words don’t really change or affect the world in any significant way, and I end up just joining the online traffic that is social media, reaching out to a handful of people. But to that handful of people, I urge you to take action. Don’t just read my words, nod in agreement, and then go about your day as usual. Do something, anything. Whether it’s donating money, goods, supplies, or even time, give something. Raise awareness. 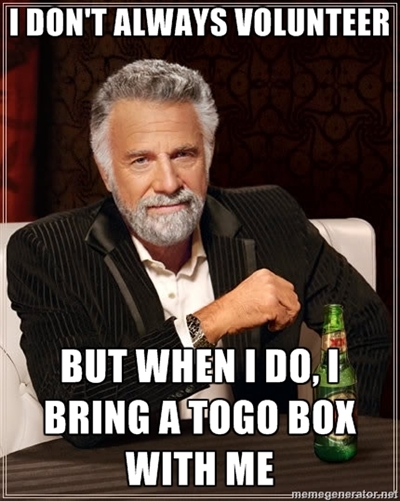 Collect signatures. Take a cause and commit. If all of this is too much, then just pray. Turn to God, throw your hands up, and ask Him to give this society some much needed clarity and direction. My heart and prayers go out to all of those people suffering in the world, and all of those lives that have been forcefully lost. Now, I get it. 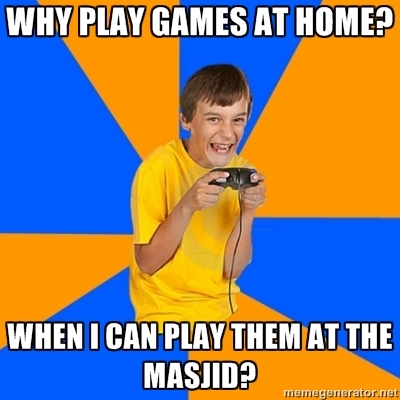 The masjid is THE place to bring your kids. I’ve been attending my masjid since I was nine, my brother was seven, and my sister was three. My siblings and I literally grew up at our masjid. As Muslims, we want a safe, good environment to bring our children where they can see Islam in action. What better place and what better time than the masjid during Ramadan? If a child is sitting and listening to the entire Qur’an being recited during tarawih, what better blessing could we ask for? The problem arises when instead of listening to the recitation, the child is running around, playing, talking, laughing, yelling, crying, wasting water, clogging up the toilets with toilet paper, having water fights in the wudu area, spraying each other with the water spray, climbing on top of people while they pray, getting their arms stuck in the railing of the staircase, opening and closing the doors, playing with things in other people’s purses, getting other kids to join in their adventures, and going up to the front of the masjid and pulling on the imam’s mike while he is in the middle of prayer. To be fair, this one year old only went up there because an older girl playing with him led him up there. It seems that instead of creating a nurturing environment, these kids do everything in their power to take away from that. I don’t blame the kids though. Like I said before, kids are kids. They only know as much as we, the adults, teach them. Which brings me to my main point, the adults. Call me old fashioned, but I come from a time and age where my mother would just look at me and I would wet my pants. We never had discipline or volume issues because our parents gave us clear boundaries on what to do, where to do it, and how to do it. 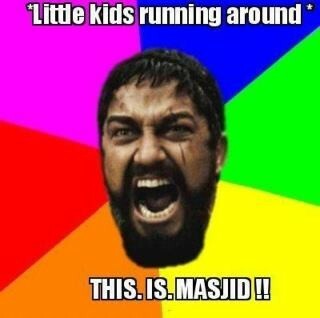 The masjid was not the place for running around and yelling. We didn’t even have a babysitting room back then. It was all just one room, the people praying in the front, and the kids sitting in the back. Now that we do have a babysitting room, multiple babysitters, and other accommodations for mothers with children, it still amazes me as to how many mothers will bring their crying babies into the main prayer room. Especially since we have signs that clearly say that children are not allowed in the prayer room. There is absolutely no shame in staying home with the kids. There is no oppression of power or denial of rights. A woman in fact gets more reward for staying home, taking care of the kids, and praying at home. I have the utmost respect for these moms. My mother was such a mom and she was pretty awesome at it. I’ve discussed this with many of my friends who have children and we all agree with one thing: none of us could bear the thought that someone else’s focus in prayer could be ruined by our child. 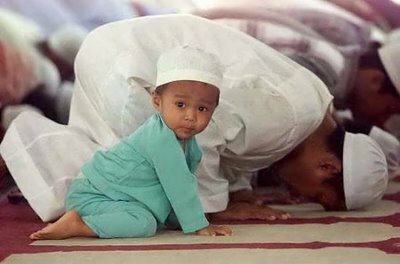 InshAllah, I pray that one day I have children and one day I be able to bring my child to the masjid. I also pray that I have the ability to recognize if my and my child’s presence at the masjid is doing more harm than good. Finally, I pray that one day all of our children will be in line for prayer, and we all will be able to fully concentrate on our prayers. We had to scream that one twice. In the same night. 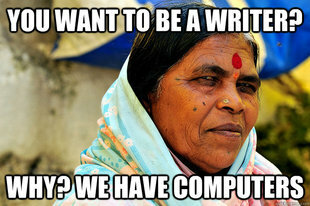 Ah, the wonderful world of aunties. As I mentioned before, I’ve been attending my masjid for various reasons since 1998. I’ve attended Qur’an classes, general Sunday school classes, I volunteer there for whatever events take place there, I volunteer for Ramadan, and recently, I’ve taught there and have been the glorified office assistant for the past two summer sessions. In that time, it never ceases to amaze me the wide scope and varieties of aunties I’ve had the pleasure of encountering. During Ramadan however, it seems that all of these aunties get together, plan, conspire, and execute intricate designs in which they make sure the volunteers stay on their toes. I’m sure it’s out of love and has nothing to do with the fact that they feel they are obligated to special treatment because, you know, they’re aunties. While there are many aunti types, here are a few of my favorites. Now at our masjid, we don’t have buffet lines, we actually bring the plates of food to the people, but it’s still the same. These aunties feel they are entitled to seconds, thirds, and fourths before the person next to them can even get one piece of naan. They complain when it seems the aunti sitting in front of them has a better piece of chicken. They compete with the children when pizza comes and try to find loopholes and excuses for why they are still children at heart. 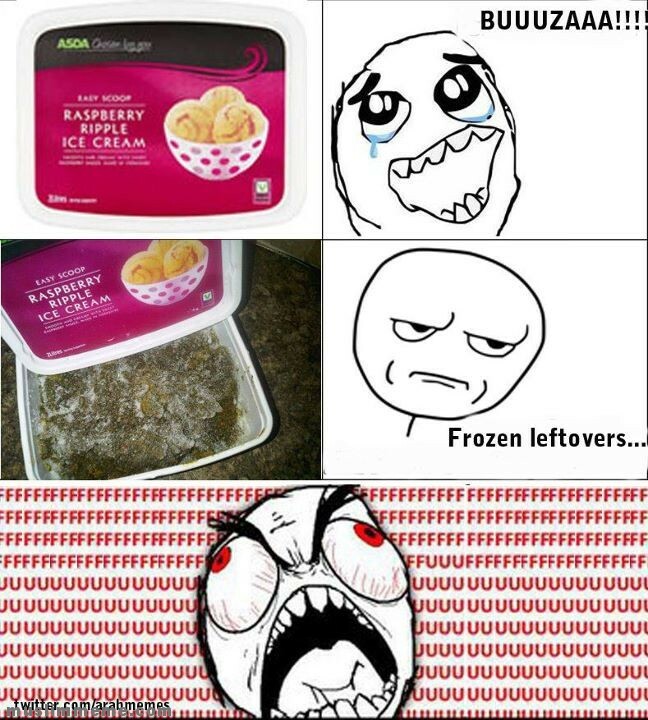 And God forbid you forget to put raita on their plates. Hunger games got nothing on this. 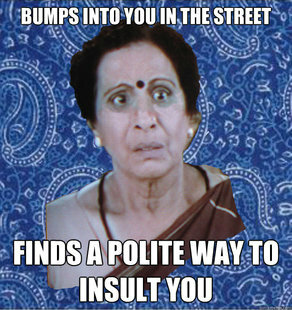 This aunti is a classic. She’s never in a bad mood and always smiling. She has quite possibly the sweetest voice possible. You can have a full, innocent conversation with her, and you won’t realize it until 30 seconds after she’s turned around and is walking away that… Hey, wait, did she just call me and my mom fat??? This aunti is everywhere. She’s that one person in the corner that just emits a grumbling sound. “The naan is too hard.” “The water is too cold.” “The bathroom is too far.” “Her salaam wasn’t loud enough.” “Why is she smiling at me?” I used to think that all this aunti needed was some love, attention, and a hug. That was until I was told that my hugs were too uncomfortable and that I should work on my posture. Finally, my most favorite aunti. You can usually spot her in the crowd of sisters sitting and eating their dinner. She’s the one who brings a bag of Tupperware, speed-eats her dinner, and is the first person by the food trays before we can even announce that there is extra food. On some levels I admire this aunti. It takes true skill to be able to get through dinner, mingle, chat, pack a week’s worth of suhoor, and still make it on time for Isha. And she manages to do this every night. Respect. 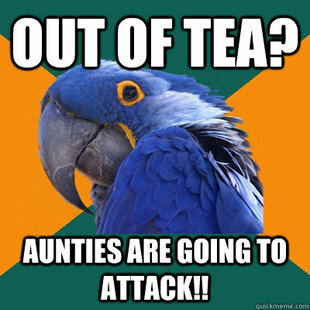 In all honesty, I joke, I kid, but I love my aunties. They are an endless source of comedy, drama, and entertainment. They are also a major source of possible du’as that can not be gotten anywhere else. I love it when I can manage to please any one of these aunties. If they are happy, then not only is my life a little easier, but they also pray for you with such intensity, it’s humbling. It’s kind of amazing at how much gratitude a person will give just because they got food. Do I wish they had a little bit more tact? Do I wish they would be a little less degrading when barking orders? Do I wish they would stop washing their hands at the water dispenser? Well, obviously yes. But, they are our elders after all, and with that comes a given respect that you don’t see anywhere outside of Islam. We’ve all heard the story about the Prophet (saw) and the mean old lady that would throw trash on him when he was walking everyday. He could have easily just not cared when one day she wasn’t there to throw trash and curse at him. Instead, he went to go check up on the lady and see if she was alright. Granted, we are nowhere near the Prophet (saw), but isn’t he our end goal? I’m not saying let the aunties abuse you, but maybe you could figure out a way to not be in a situation where things might get ugly. Because I know I have a temper, waning patience, and a big mouth, this year I’ve done my best to send in other people when things need to be said or done. I try not to yell unless my unmatched volume is required. It’s not the ideal situation, but it’s better than having fifty aunties curse at you in fifty different languages (At least we have a diverse mosque). I’m trying to work on my shortcomings. 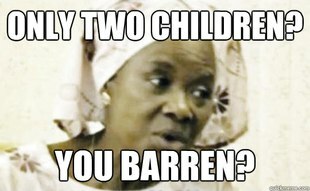 Til then, I hope I can at least figure out the most diplomatic response for when I run into that aunti that despises every aspect of my life choices. 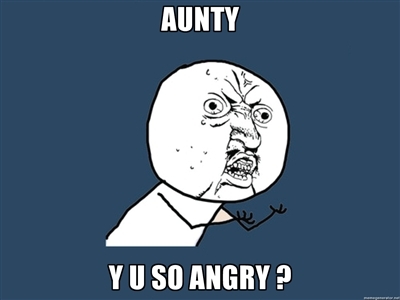 A point that my spell check gladly points out, I realize that it’s spelled aunty. However, I’ve always thought there was a difference between an eastern aunty and a western aunty, which I distinguish by the misspelling. Let’s call it a creative touch. I’ve realized it’s unrealistic of me to post every single night. I am my own worst critic and I am never satisfied with what I have. Though I started working on this the night I published my last post, it’s been through at least four revisions. With that in mind, I think I’m just going to try to publish as much as I can whenever. Hopefully, this was worth the wait. As always, enjoy. I bite down on my tongue as I remember it’s the first day of fasting and I really don’t want to be arguing with my mother. And so began Ramadan 2012. The first few days of Ramadan are the busiest for my mother and me. My mother is in charge of managing the sister’s side for iftar/dinner and tarawih. This pretty much means she has to make sure that everything from air fresheners and soap to water and chairs are well stocked and available when needed. This also includes printing, laminating, and putting up the proper signs in the proper places. It also means that she has to manage all of the volunteers, brief them on their duties and responsibilities, preempt any inner conflicts that may arise, and make sure the teenage volunteers that we have know their boundaries and the proper way to interact with the elders. The list of responsibilities my mother has is endless and extensive, and needless to say, she needs help. That’s where I come in. My mother and I have a strained relationship. It’s a combination of the typical east vs. west, plus a decade’s worth of hospital stays and surgeries, with just a little hint of misinterpreted sarcasm. I have to admit, I have my fair share of blame in this as well. Honestly it boils down to this, we have two very different personalities. We think differently, we perceive the world differently, and our approach to certain situations are, you guessed it, different. 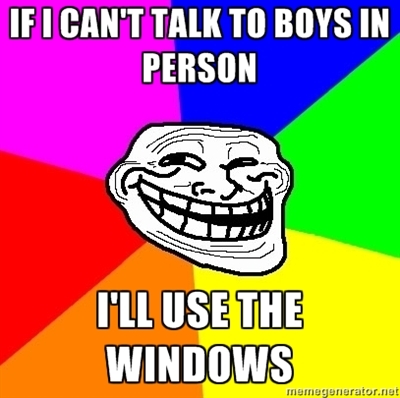 Add in stress, pain, and painkillers, and you can just imagine the volume of a normal conversation between us. It seems recently though that every other conversation we have is an argument, and the most common theme is religion. It’s not one of the typical arguments where she wants me to wear hijab and I don’t want to. It’s more the fact that I can approach religion without the cultural influences that she’s used to, and she’s not used to that. Many times I can hear her saying that the new generation of Muslims have ‘modernized religion’. She yells out of love, for fear that her daughter is doing something she shouldn’t, that she’s straying too much outside of the religion. Alhamdulillah, I can confidently say that she’s not worried that I’ll do anything to compromise my morals, values, and principles, but she worries none the less. Which brings me to factor number three: marriage. Yes, the thing that is said to be half of our deen. That wondrous thing that girls dream about, that Bollywood musicals sing about, and that boys scream and cry like girls over when their mothers ask them if they want to go to their neighbor’s nikkah (All they hear is, “Go nikkah,” in between rounds of Halo). What is supposed to be one of the most joyous occasions of a girl’s life is made miserable by all of the poking and prodding and dissecting of her life, and that’s just for the biodata photo shoot. I’m 24, which in desi standards translates to about three more good years of looking before I turn to the divorced, single father group. This concept is not lost on my mother, who takes any and every opportunity she gets to remind me of my age, my weight, my skin, and my utter lack of husband catching skills. To be fair, my mother is not Mrs. Bennet advertising her daughters to the highest bidder (**brownies if you get the reference). She is however concerned that she’s been looking for a good six years now, and is yet to find a boy for her eldest daughter. Out of frustration, she explains to me how I shouldn’t set my standards so high, how I should be open, and how marriage is a compromise. I try to explain to her that I understand all of that, but I’m really only looking for one thing, a practicing Muslims boy, and I’m not really willing to compromise on that. And this is the part where we usually end up arguing over the definition of practicing Muslim, the lack of Muslim Bangali boys, the need for age, stability, culture, etc., etc., etc. I often wonder whether our relationship is my fault. Maybe I’m too stubborn. Maybe I should make more of an effort. I should have expected this and thought around that. Maybe I expect too much from her. 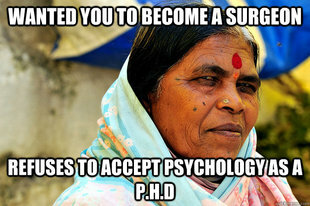 I’m not going to lie, like many of the elders around me, my mother has also let me down. Not so much in the broad, traumatic, disowning sense, but more so in the little ways. It’s hard for my mother to understand me because she’s not used to the way I am. She’s very emotion based whereas I go through things by logic. To her, many times I seem cold and unemotional. She’s never understood how I can be so friendly and sociable with so many people, but not have too many close friends. She’s always worried about the fact that I don’t connect too well emotionally with even family. I see that, I understand that. It’s still hard for me to accept that my mother, the one person I thought I wouldn’t have to explain myself to, misunderstands me, but I’m working through it. At the end of the day, I’m lucky to even have a mother. And then to have a mother who cares enough about me to yell at me beyond the point of tears? Alhamdulillah, now that’s a blessing. I’m pretty sure she knows this, but I’m worried sick about her, about what will happen to her if/when I leave. She’s become very dependent on me, and my other siblings just don’t know how to anticipate her needs like I do. Staying up with her every night at the hospital, staying up every night during her recovery, checking up on her from time to time just to make sure she’s there, breathing, well, these are the memories I have of her, and these are the things that affect me the most. Alhamdulillah she’s better now, but she’ll never be what she once was. I remember joking with her the first time she came home from the hospital, after she had vomited and I was cleaning it up. I was about 13, and that was my first Ramadan where I took fasting seriously. My father and I were the only ones fasting in the house, and he had gone to the masjid for iftar because I couldn’t make him a proper meal. She was crying from pain and apologizing for vomiting, for not being well enough to make us a meal, for putting me through all of this hard work. I remember looking up at her with a smile and saying, “Ammi, don’t worry. Our religion teaches us that the children become the parents at one point, I just never thought it would happen this soon. It’s okay, we’re way ahead of the curve. Besides, I’ve always wanted to have Capn’ Crunch for iftar.” She couldn’t help but laugh after my reply, and for a little while, she stopped crying. I look back on all of these moments and realize that while some of these nights were the hardest in my life, I am extremely grateful for them. My family wasn’t all too religious when I was younger. We prayed, fasted, did what we knew we should, but nothing more and never asking for more. It was because of my mother’s illnesses, that I turned to religion for answers. I made a pact that if my mother got out of the hospital the first time, I would give my life to God, and Alhamdilillah that’s what happened. My taking an interest in religion sparked the rest of my family onto that path. Every single visit to the hospital thereafter only served to renew my devotion to Him and every single time my mother has come out has been enough proof for me that He is there, listening, watching, and showing us His signs everywhere. She complains now about how I don’t do as much as I used to, how I want to spend so much time outside of the house, but I think we both realize on some level that it’s just practice for the both of us for the future. I won’t always be there to help her, and we both have to realize that our situation is anything but permanent. I believe this is another source of the tension between us. I’m not sure how much of this made any sense, because at this point, I just feel like I’ve been going from one random thought to another, so let me try to bring it all together. My mother and I, not best friends. I don’t cuddle up next to her like my sister, I can’t lovingly ask her to do things for me like my brother. That’s just not how our relationship works. She is, however, my mother and I am her daughter, and that’s really all we need. We’re both working to understand each other and we both pray every second of every day for each other. Because really, the du’a is what we need, what will get us through to the akheera. As I finish with this ever so late post, I can happily report that after that first day of Ramadan, my mother and I have not had a single shouting match. The sarcasm is still there, but progress is progress, right? This month and this life is much greater than who is right and who won. I realize that it’s an uphill struggle to control our tempers, even more so when we are starving ourselves, but please try to make an active effort. While we almost always take for granted that our mothers will forgive us in the end, is it really worth all the blood and tears for the journey along the way? I pray that Allah grants me the patience needed to control my temper and my tongue. **Brownies will only be given out to people who get the reference but are not prone to reading, was not forced to study this, is of the generation where sparkling vampires exist, and boys. The week before Ramadan is always one of the busiest. I’ve been officially volunteering at my masjid for Ramadan for about 12 years now, unofficially for about 14. This week we held the volunteer meetings, have been making multiple runs to Wal-Mart, and printing and laminating the usual signs: No Food in the Prayer Room; Please Don’t Change Diapers in the Prayer Room; No Kids Allowed in the Prayer Room (The looks I get from the Staples lady are very entertaining). The week before Ramadan is also a serious time of reflection for me. I’m not too big on New Year’s resolutions, but I try to use Ramadan as a time to better myself. I look back on the year, highlight my highs and lows, set a goal to accomplish by the end of the month, and hopefully maintain that goal for a little while longer. Doubting myself, my character, my imaan. Many things led to this, but the single most contributor was the gloriously treacherous road to marriage. My relationship with my mother becoming even more strained than before. Feeling completely overwhelmed and helpless when my mother went to Hajj. Distancing some good friends because of my personal issues. Coaching my first ever regional MIST team, alone. Dropping my mother off at the airport for Hajj. Technically, this isn’t actually for me, but there were so many obstacles leading up to this point, there were plenty Alhamdulillah’s to go around. Welcoming yet another baby into the family (and not dwelling on the fact that the age difference between this new cousin and me is about 24 years). Overcoming the “lack of available suitors” blues and finding a friend in the ruble. Coaching my first ever regional MIST team and having one of my competitors place Top 5. That pretty much made all the chaos and drama worth it. Going to Toronto for MIST Nationals, reconnecting with old friends, making new friends, and going crazy with all the NY and ATL wins. I’ve been blessed to have had all of these moments in my life, ups and downs. Life is filled with ups and downs and it’s humbling to get perspective when remembering that there are things much greater out there than just you. The situations I find myself in time and again are constant tests of my will, character, and deen. I can be optimistic and say that I’ve passed all of these tests, but in all honesty, I know I haven’t. But that’s what it means to be human, right? We need to be able to admit our own flaws, but at the same time we should constantly strive to improve upon them. We should also be able to accept others with their own flaws. These are things I’ve always had a hard time doing. When dealing with slightly unreasonable elders after a day of fasting and running around, my patience and temper are at dangerous levels at times. I’ll admit that I have a had time accepting the fact that many of the elders that we are supposed to look to for examples have not set such great examples for me to follow. It’s always very disheartening for me when I think of how so many elders, adults, and Muslims in general have disappointed me when not acting the way I would hope that they would act. I’m known at my masjid for being the honest one, the one that they send out when someone needs to be ‘dealt with’. While I pride myself on being genuine in my thoughts, I also need to be able to accept things for the way they are, flaws and all. InshAllah, this is one thing I hope to work on this year. This is my Ramadan resolution. As we enter into the blessed month of Ramadan, let’s pray that we can use this month to its fullest and that we can manage our tempers, have a little more patience, and be as close to Allah (swt) as possible. Ramadan Mubarak!